Welcome to author, Stewart Bint! Tell us about yourself, Stewart. Born in the dim and distant past (1956), in Derbyshire in the UK, which is where I grew up. My Dad died when I was 12, and I think that pushed me into maturity much younger than most people of my age, and may have been responsible for me retreating into the worlds I created with my stories at the time. I can remember feeling that my worlds were better than the real one. In 30 years of married life we have always had budgies as a pet, and my favourite was a wonderful little character called Sunny who sat on my shoulder all the time I was in the house. The neighbour’s cat has now discovered I work from home and comes in every day from around 8 a.m. to 4 p.m., spending her time curled up on the sofa in my office. I have always earned my living by writing, and it takes up pretty much all of my time now, in four different guises. My day job is a PR writer for an industrial software developer. Our software programs CNC machines that cut metal, stone and wood for manufacturing and mould-making. The bulk of my work is interviewing manufacturers about how they use the software and then writing case studies for our website and a variety of trade magazines. I trained as a journalist and worked as a radio broadcaster, reading the news and presenting current affairs and phone-in shows for ten years before moving into PR. I cover a football team for my local newspaper–well, it gets me out of the house on a Saturday afternoon watching the match, then writing the match report on a Sunday morning. I have my own column “Up Close And Personal With Local Novelist Stewart Bint” in a fortnightly magazine. Oh, yes, and then there’s the little matter of finding time to write my novels! Since getting married 30 years ago home has been in Leicestershire, and I moved with my wife and two children, now aged 22 and 19, to our current house, in 2009. As a dedicated barefooter, I only ever wear shoes when it is absolutely necessary, i.e. six inches of snow, or a situation where it would be completely socially unacceptable not to. As I work from home now in my day job, I am barefoot almost constantly, apart from business meetings, of course. Having bare feet connects me with the Earth and helps my creative processes to flow. A few years ago I got extensive media coverage for doing a ten-mile sponsored walk barefoot–but as most people who know me said, that was easy for me, it would have been harder to do the walk wearing shoes! The real inspiration to write came from watching the original series of Doctor Who in 1963 when I was just seven. I became enraptured by the storylines which could take place in any time in Earth’s history and future, and absolutely anywhere in the universe or beyond. I started creating my own worlds and my own characters, writing my stories in little blue notebooks, until my parents bought me a portable typewriter for my ninth birthday. Are you a seat of pants writer or a well-devised outliner? My novels tend to grow from small, isolated incidents or one particular idea or premise. Although I have a rough outline in my mind, I am led by my characters as they develop, and have been astonished on several occasions where they take me. Over the years there have been many–the first one I can really remember as having an influence on the stories I wrote (as opposed to just reading for fun, such as Enid Blyton and her “Famous Five” and the “Secret Seven”, etc. ), was C.S. Lewis, and that was because he wrote about other lands, other worlds and fantasy characters in the same ilk as Doctor Who. I have always been fascinated by the timeless stories of Sir Arthur Conan Doyle, but he’d be spinning in his grave to think I prefer Sherlock Holmes and the Lost World stories to his more literary works. 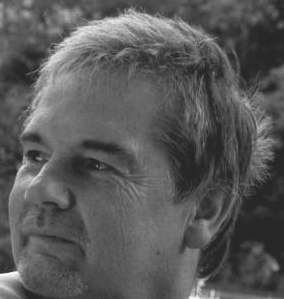 When I was around 13, I discovered Alistair McLean and his string of thrillers, which influenced me to create twists in my stories, particularly at the end. Around the same time I began to read Ian Fleming’s James Bond series, and that influenced me to temper some of my outlandish far-fetched worlds with a touch of realism so the reader could at least identify with part of my creations. But one author who has remained with me ever since the publication of his first book, way back when, is Stephen King. He is the master of instilling menace and uncertainty into everyday situations through a wonderful imagination and a great story telling craft. So what do all these authors have in common, that has inspired me over the decades? Certainly not any high-brow literary claims to fame, but their ability to tell a good story and move it along at a cracking pace, whatever their genre. To me, that’s the mark of a good author, and that’s what I aspire to do. My latest novel, ““Timeshaft””, which is due to be published in May. It pulls together my two completely stand-alone novellas, ““Malfunction”” and ““Ashday’s Child””, and links them as part of the overall story, extending the storyline of each one. I would defy anyone reading the novellas to work out how they are connected. The time travel paradox created in ““Malfunction””, of someone going back in time to prevent something, then discovering to their horror that they actually caused what they went back to stop, is something I had mused over for years, but couldn’t find the right vehicle for it. I actually started and discarded several stories until the idea for “Malfunction” was born when I was reading an article on the Chernobyl disaster. There must be thousands of stories set in the aftermath of a nuclear disaster, and that was certainly the premise behind “Ashday’s Child”. But there is a twist to that, which is unveiled in “Timeshaft”. Pause, stop and rewind here, back to 1991, and a walk I took through Cranford Park in London with my wife, my father-in-law and my baby son in his pram. My father-in-law mentioned at the time that there was a memorial to that great comedian Tony Hancock, at the church in Cranford Park. Can you believe that was actually the inspiration, all these years later, for “Timeshaft”? A wide variety of real people and the deep, dark recesses of my mind–the latter probably emerging from a lake of red wine swilling around in there. Some come entirely from my imagination, and some are compilations of people I have known. For instance, in the novel I am working on now, In Shadows Waiting, the vicar is based very largely on a real vicar I knew in my childhood. The main character’s father is based on a friend’s father, the sister is a mix from my imagination, with traits of my own teenage daughter…the difference being the novel is set in the 1980s, so she doesn’t have the outlook or liberation of girls today. The main character, written in the first person, has a lot of my own traits as they were in the 1980s. 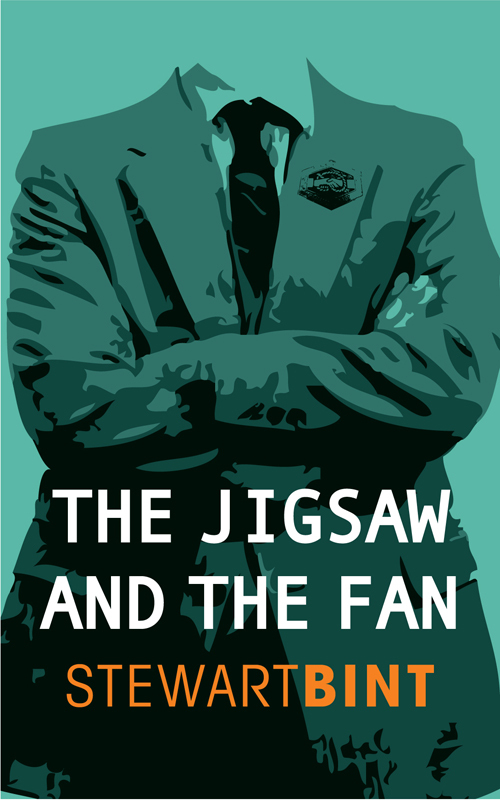 In my light-hearted ghost story The Jigsaw And The Fan, the dead trades unionist is a compilation of a number of trade unions officials I interviewed as a radio presenter working during the UK’s notorious “winter of discontent” in 1978-79. And Lord Barrington-Pottsherbert is a mix of a real life Duke I once knew, and his estate manager. This is easy–but boring, I’m afraid. Best: the day my first novel, “Malfunction”, was published. Worst: Those rejection letters. Okay, I bet everyone says that! It’s a light-hearted ghost story with some pretty extensive bites of satire. I would like my fans to know how grateful I am to you all for finding the time to read my stories, and I hope you enjoy them. My work is only intended to entertain, I know it will never be classed as great literature. I have volunteered to take part in a world-record writing attempt. A UK company is organising getting a novel written, printed and into the shops all in one day, for charity. Writers will be producing one chapter each. If it gets off the ground I’m doing the first chapter! Best place is direct from my page on Smashwords. My books are also available from the usual suspects such as iTunes, Barnes & Noble, W.H. Smiths’ website, Tesco ebooks, Diesel, Kobo, Nook etc. I found all of mine in two of those, also. (Laughing here. )Thank you for taking time out of your schedule to talk to us today, Stewart. I hope you enjoyed yourself. Oh, I have. Because it’s involved writing! Oh, and I’d just like to thank my wife Sue, my son Chris, daughter Charlotte, budgie Smokey, my readers, my English teacher Mr Johnson (how the hell did I remember his name when he taught me in the 1960s, I hear you ask? ), those people who give me funny looks when I’m walking barefoot in town, and also…Got to stop now, the award’s getting too heavy. Intersting comments you made in the latest Barwell flyer. You don’t mention religion here, does it feature in your life? Thanks for your question, Derek. If by religion, you mean do I believe in a higher power, then certainly.That higher power features throughout my novel The Jigsaw And The Fan. https://www.smashwords.com/books/view/265685 Some of my characters representing that higher power, such as those we meet early on, and of course, the character we meet in the last few pages, could be deemed to be satirical representations or interpretations, and are not meant to be taken literally. Rather like parts of the bible. However, beings such as Wallace and Mozelbeek, and the role they have, really do exist, but as beings of pure goodness, and not the loveable rogues that I portray Wallace and Mozelbeek to be. You’ll get a much better picture by reading the book. To get it free, use this code ED95Y at the checkout from the above link. This free voucher is only valid until March 31st.